There can be confusion around the appropriate terminology for trans and queer identities, even within the trans community itself. As language is constantly evolving, it can be especially difficult to know what to say. 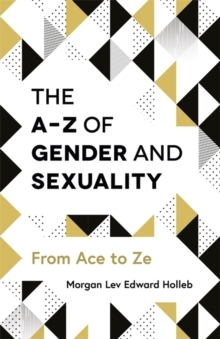 As a thorough A-Z glossary of trans and queer words from 'ace' to 'xe', this dictionary guide will help to dispel the anxiety around using the "wrong" words, while explaining the weight of using certain labels and providing individuals with a vocabulary for personal identification. Having correct and accurate terminology to describe oneself can be empowering, especially with words and phrases that describe gender identity, sexuality, sexual orientation, as well as slang relevant to LGBTQ+ rights and anti-discrimination, queer activism, gender-affirming healthcare and psychology. Written in a traditional A-Z glossary style, this guide will serve as a quick reference for looking up individual words, as well as an in-depth look at trans history and culture.